NASA selected technology from Epiphany Cardiography Products, LLC, as part of an initiative to provide NASA Flight Surgeons the ability to manage cardiology data collected from multiple modalities including 12-lead resting ECG, Holter, real-time ECG telemetry monitoring, PFT, and exercise stress data used in support of its in-flight as well as ground-based global medical care operations. NASA will also be working with Epiphany's engineers and clinical teams to utilize Epiphany’s technology to manage cardiology data from its other modalities used to support clinical research applications that monitor the effects of space flight on the cardiac health of the astronauts on board the International Space Station. "We are honored that NASA has selected Epiphany for this important mission. Epiphany is committed to open systems and initiatives associated with providing secure access to clinical information from a wide variety of tests and devices. We will now be able to extend that reach of care into space. 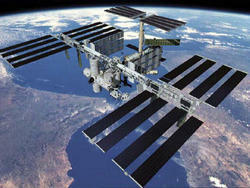 Working with NASA to manage their new innovative 12 lead applications is significant. Epiphany continues to lead the healthcare industry by simplifying the collection and management of patient health data,” said Russ Deremer, CEO, Epiphany Cardiography Products, LLC. Epiphany Cardiography Products simplifies the collection and management of health data with over 100 device interfaces and across 12 modalities. Epiphany's pure-web approach makes it easy to access patient information from any PC or Smartphone device. We are a company of experienced professionals addressing our customer’s needs in the growing electronic health record environment. At Epiphany, each employee is personally committed to not only meeting but exceeding our clients' expectations. We invite you to experience for yourself the genuine and impressive difference that is Epiphany!